A new mobile device that easily captures crystal-clear selfies and brilliant night shots will soon make its debut in Philippine stores. 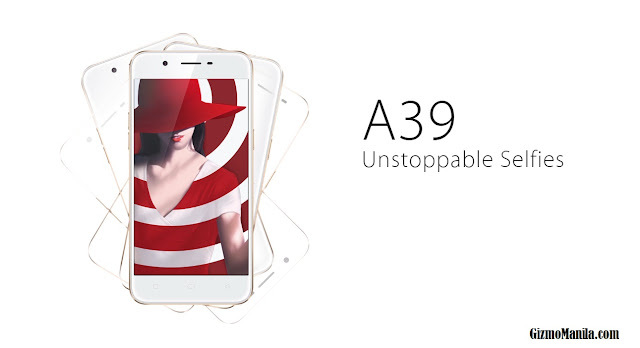 Though the A39’s 5-MP front camera has less megapixels compared to OPPO’s other smartphones, it has a extra large 1.4um pixels and ¼-inch sensor has higher light sensitivity and frame rate to capture crisp pictures and videos with reduced noise. The 13-MP rear camera captures 50-MP ultra-high definition images with its extra-large 1/3.06 inch sensor, which maximizes the amount of captured light for brilliant low-light and night time shots. The 3GB RAM and Octa-core 64-bit processor further enhanced its performance to allow smoother multitasking and switching between your favorite apps. For more information on the OPPO A39, visit http://www.oppo.com/ph/index.html.